If you’re planning a move, chances are you have a running list of everything you need to get done before the big day—from packing up each room to finding boarding for your pets and scheduling professional household movers. But have you thought about what to do with all the food in your house? Moving comes with a lot of adjustments, and it can be a challenge to plan exactly what will (or won’t) fit into the new space. Does your new house have a large pantry? Then you may be able to bring more pantry items with you! Are you downsizing to a smaller kitchen? Then it’s probably better to start from scratch with your food stock instead of hauling everything to the new house. If you have a ton of meat, veggies, and fruit filling up your freezer and fridge, those are the best items to start clearing out your kitchen. Make a meal plan that extends to moving day, and try and use as many of these ingredients as possible to avoid tossing them before the move. As an added bonus, this will cut down on trips to the grocery store and help you save some money that can be used for other relocation expenses! 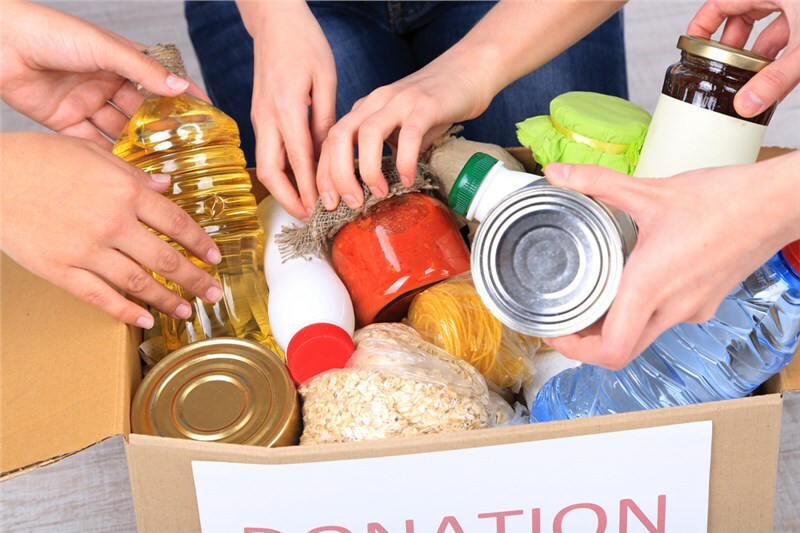 Instead of tossing canned and dry goods that you don’t have room to pack, consider donating them to local food banks! If you have open or perishable items in your pantry, it’s probably best to toss them if you can’t use them up. They’re likely cheap to replace, and not worth the hassle—especially if they spill in your moving van during transit. Clearing out the house before moving day can be overwhelming—right down to emptying the last kitchen cabinet! As the first choice in local Naperville movers, Boyer-Rosene is here to help make your residential relocation as simple and stress-free as possible. If you’d like to learn about our moving services and get more professional moving tips from the experts, just give us a call today! You can also fill out our online form to schedule a free, no-obligation estimate.